Moose 4's Story . 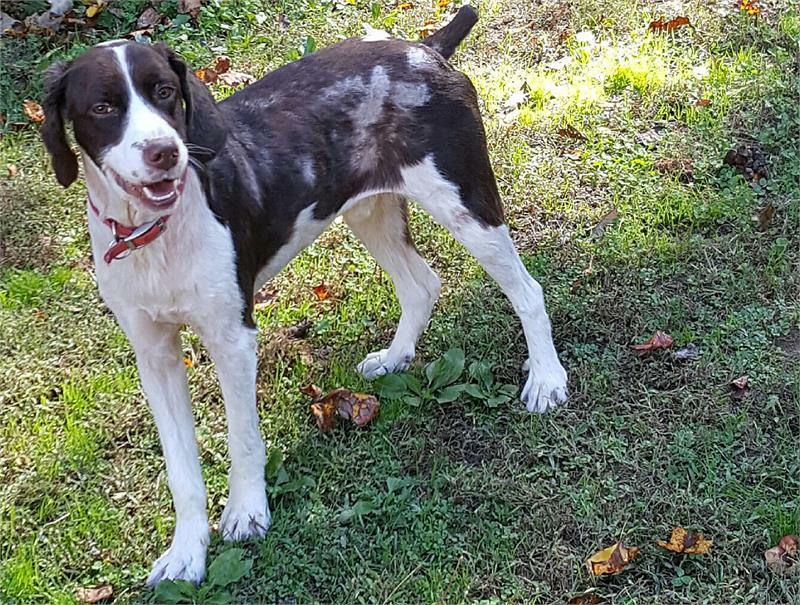 . .
Great news for Moose – his skin has been doing very well! He’s recently had just a couple of minor eruptions that quickly went away. Moose was adopted by a couple with two small boys. He was quickly returned to MAESSR after he growled at the boys when he had a toy and they approached. He returned to his previous foster home. Since settling back in, Moose has growled at his foster mom a couple of times when she tried to get him to do something he did not want to do. He took correction well, but needs additional training and work so he totally understands that this is not acceptable behavior. MAESSR will only place Moose with a family without young children and will require Moose’s adoptive family to enroll him in two series of obedience classes. Moose is a really great boy but, for so much of his life, the focus has been on his skin and getting him healthy. 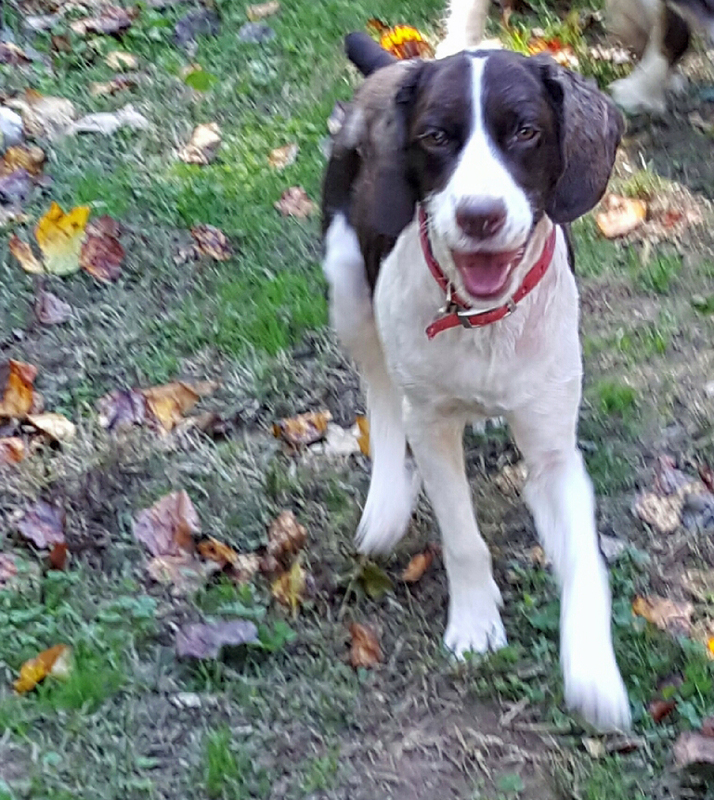 Now he needs to learn how to be a properly behaved Springer. These classes will strengthen the bond between Moose and his humans, as well as provide him with the structure he needs. 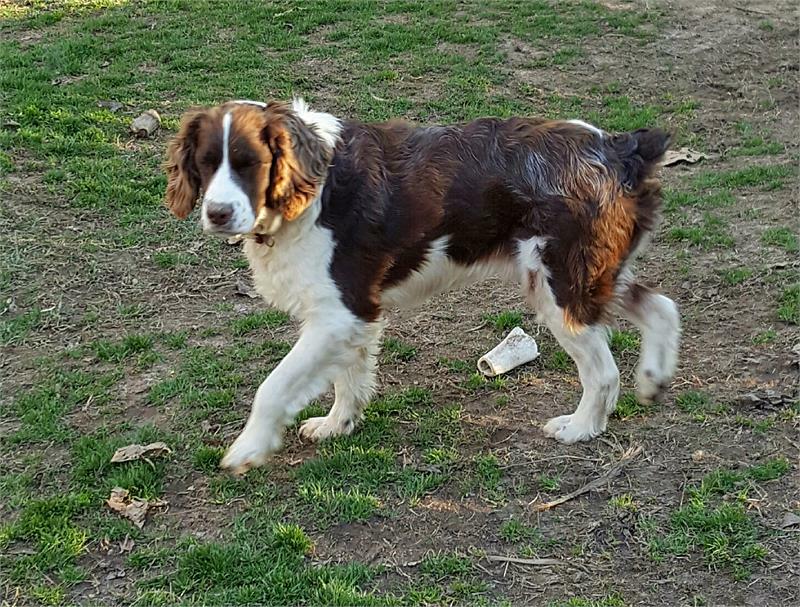 The family that provides Moose with love and guidance will be rewarded by a wonderful lifelong friend. Moose was relinquished to MAESSR after his Pennsylvania family had exhausted everything within their means to try to get to the bottom of this poor baby’s constant skin infections which started when he was about six months old. The family would work with the vet and the infection would clear up and then in a few days, it would start again. The family felt that maybe with MAESSR's resources, we could find the answer and help keep Moose itch free. This decision was extremely difficult for his family, but they felt this was the most loving thing they could do for their pup. 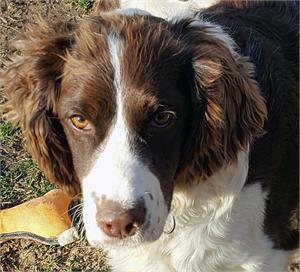 Moose is a wonderful Springer who loves everyone. He is housetrained and crate trained and has very good house manners. He does not counter-surf or trash dive. He also rides well in the car. Playing and wrestling with the other dogs in his foster home, take up most of Moose’s day. He is always ready to go for a walk and is good on the leash. Moose has been in foster care since October. It has been three months of trial and error to figure out exactly what would keep his skin in good shape. Currently, his skin is in very good condition. His hair has grown out and is coming in beautifully. A combination of medication and a couple of supplements seems to have done the trick. Yeah! It will cost approximately $100 a month to maintain Moose on this medication regime. Our best guess at this time is that he will need to be on this medication for this rest of his life. He will also have to be maintained on a high quality food. 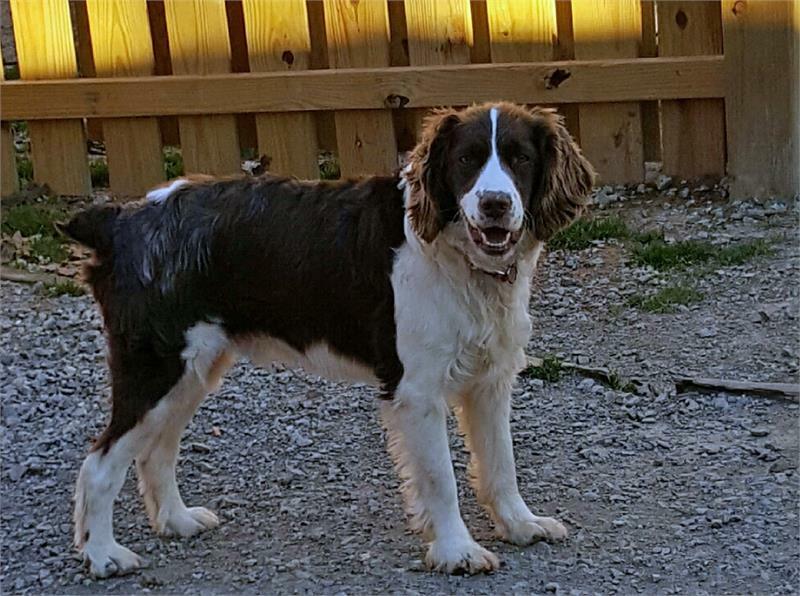 If you can meet these specific needs for Moose, you will be rewarded with a wonderful, healthy Springer family member who will love you for life!